An easy cauliflower tortillas recipe with just 4 ingredients! These cauliflower wraps can bend without breaking. 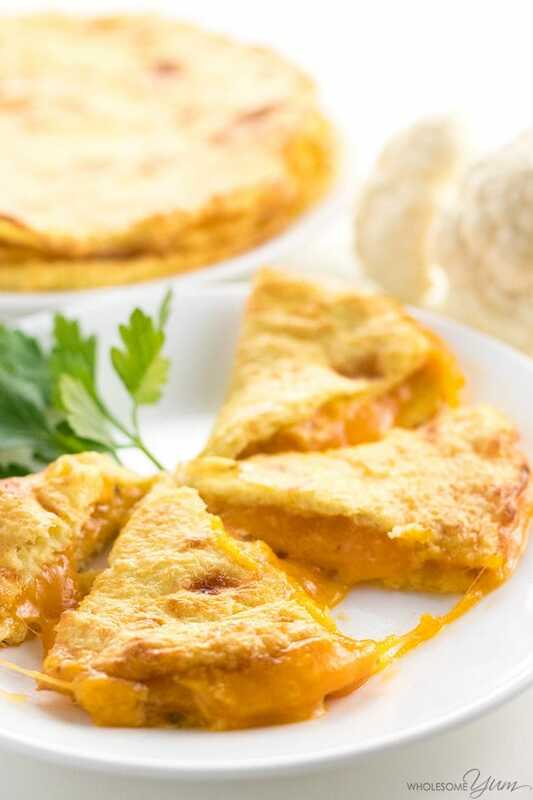 Perfect for low carb quesadillas! Today’s cauliflower tortillas are inspired by an old favorite. It’s confession time. Back in my high school days, Taco Bell quesadillas were my go-to fast food. The spicy jalapeno sauce was my favorite part. Nevermind all the processed ingredients those quesadillas were filled with – I wasn’t even thinking about that stuff back then. Sure, I still tried to get my veggies in, but looking at food processing wasn’t even in my radar. A lot has changed since then and I haven’t eaten fast food in years, but for some reason that creamy jalapeno sauce got stuck in my head recently. It occurred to me that I could probably recreate it without using any processed ingredients. Enter my health-ified low carb quesadillas. 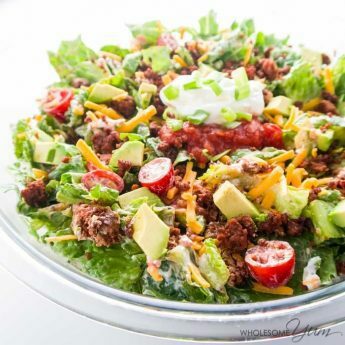 All the gooey, cheesy goodness, a tantalizing jalapeno kick, and none of the carbs or gluten! And, the tortillas are made with cauliflower. 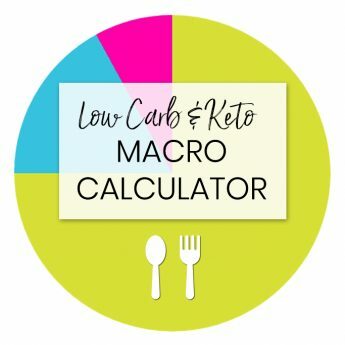 I make low carb tortillas with coconut flour and cauliflower nachos all the time, but since I’m always looking for a challenge, I wanted to try my hand at the best cauliflower tortillas recipe. More specifically, I really wanted to make a version that wouldn’t fall apart! 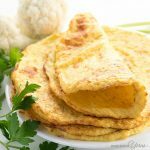 Cauliflower tortillas have actually been one of my favorite low carb and grain-free wrap alternatives for years now. But, up until recently, they were not very sturdy. Without the gluten found in traditional ones, most cauliflower tortilla shells tend to rip or fall apart rather easily. I was determined to change that. And it worked! With the simple addition of xanthan gum, I’m pleased to report that these tortillas are beautifully pliable! You can fold them, roll them, and do pretty much anything that you would with regular tortillas. I usually avoid gums and thickeners, but for these tortillas the xanthan gum really was necessary. It’s worth the tiny amount required, I promise. If you haven’t tried cauliflower tortillas yet, now you have no excuse not to. You can do it with just four ingredients (plus salt) using this recipe. 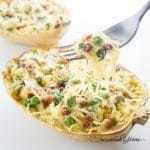 They are deceptively easy to make and taste delicious! Of course, they also happen to be packed with fiber, low in carbs, and made primarily with good-for-you cauliflower. The main trick when making cauliflower wraps is to get aaaall the moisture out after steaming the riced cauliflower. Place the steamed cauliflower rice in a cheese cloth, and squeeze, squeeze, squeeze! Seriously, when you think you’ve gotten it all out, squeeze it like ten more times because you haven’t. It takes patience, which isn’t my strong suit, but for these yummy cauliflower tortillas, it’s totally worth it. The result should be a much smaller, dense blob of cauliflower mush that sticks together. It may not sound appealing, but it will be when the tortillas are done! If you run into this situation, they are still salvageable! Simply fry them open-faced for a bit before folding them over when making quesadillas. This will help make them more sturdy. Since these cauliflower tortillas started with a craving for Taco Bell quesadillas, you can probably guess the first thing I ended up making with them. Low carb quesadillas, of course! The great thing about them, aside from how good they taste, is that you can make everything in advance. Then, just quickly assemble when you’re ready to eat. The creamy jalapeno sauce tastes even better if you chill it to allow the flavors to develop. Sometimes I like to make a big batch and store it in the fridge for sandwiches, wraps, and more. The cauliflower wraps can be prepared ahead of time, too. I store them in a plastic container with paper towels between them to absorb extra moisture. When you’re ready to serve the low carb quesadillas, just spread the sauce on the cauliflower tortillas, top with shredded cheese, fold in half, and fry them up until the cheese melts. You can even microwave if you’re particularly impatient, but pan frying yields better results. I think I found my new lunch obsession. I made these low carb quesadillas without chicken so that I could serve them for my vegetarian cousin, but you could easily add in some pre-cooked grilled chicken for extra protein. 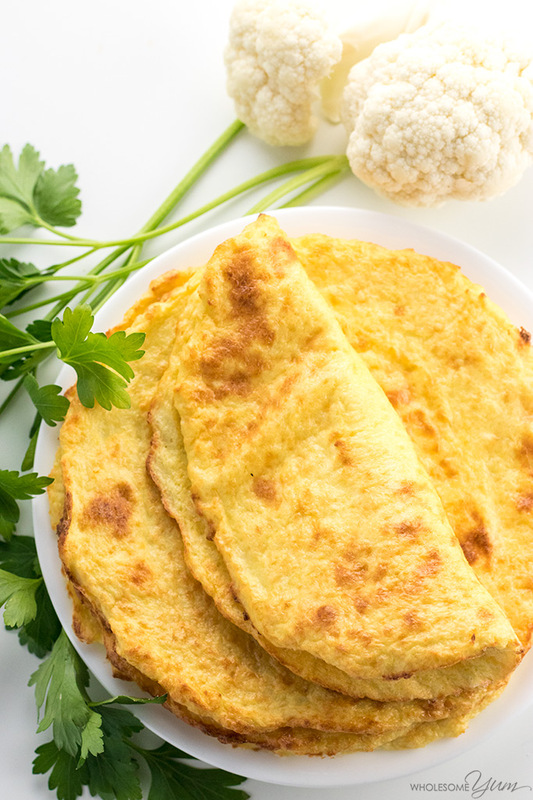 These cauliflower tortillas would be delicious for any other recipe needing a wrap. How about using them for bang bang shrimp tacos from Wicked Spatula? You can easily make those low carb by using these tortillas, sugar-free honey in the sauce, and possibly skip the tapioca. If you’re sticking with the quesadillas, there are plenty of other versatility options, too. Why not throw in some grilled veggies for good measure? What are your favorite low carb quesadilla fillings? Preheat the oven to 400 degrees F (204 degrees C). Line two baking sheets with parchment paper. Transfer to a large bowl and microwave on high for 8-10 minutes (or steam using your favorite method), until cooked. Cool until the cauliflower is cool enough to handle. Transfer to a cheese cloth or towel and squeeze tightly to get rid of as much extra liquid as possible. It should be dense and clumpy. Switch the food processor to the S blade and place the cauliflower back in. Add the eggs, mozzarella and salt. Process until smooth. Sprinkle the xanthan gum on top (do not dump it in one clump). Process until smooth. Drop the cauliflower mixture into six areas on the lined baking sheets. Use a spatula or the back of a spoon to spread into thin circles. Bake for 8-10 minutes, until the edges are dry and the bottom is golden. (If both baking sheets don't fit in the oven side by side, do one at a time.) Carefully flip over, then bake for 4-6 more minutes. Cool for 10 minutes before moving. To make the sauce, whisk all ingredients in a small container. Cover and refrigerate to allow the flavors to develop (you can do this overnight if you have time). 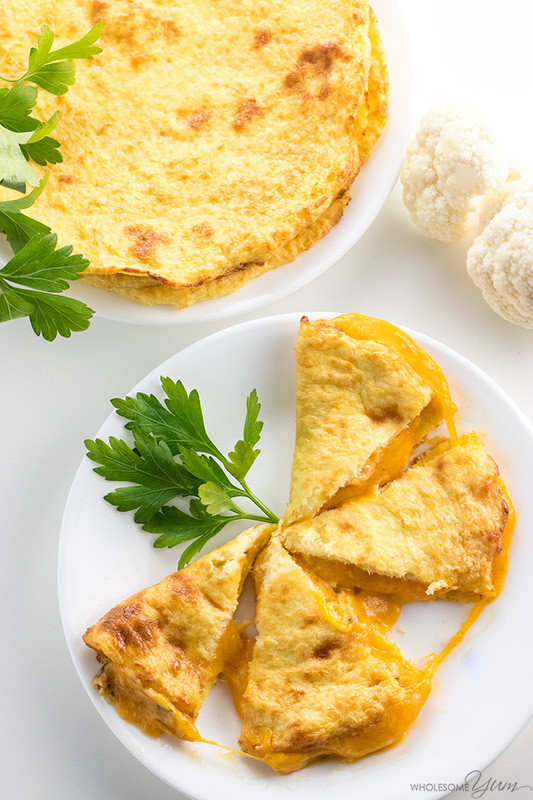 Spread a tablespoon of the sauce over each cauliflower tortilla. Sprinkle 1/4 cup of shredded cheddar cheese on top. Fold in half. Heat an oiled pan over medium heat. Place two folded quesadillas in the pan. Fry for a couple of minutes, until browned, then flip and repeat on the other side. Repeat with the remaining quesadillas. Nutrition info does not include the sauce and cheese, only the cauliflower tortillas. The low carb quesadillas are just one example of a way to use them. Hi Bess, No, they are not at all related. I read somewhere that you can put cauliflower into a juicer and use the pulp that is leftover – it’s perfect because all of the moisture is taken out! You don’t even have to cook it afterwards – just use in your recipes! Thank you for sharing, Megan! I don’t have a juicer but sounds like a great idea! Hi Fernanda, Yes, you can use a bullet. Hi Maya, how do you think these would freeze in making a huge batch and freezing for down the road? Hi Kim, They freeze great! Just line with parchment paper between them. Hey! Idea… or question: after you cook the cauliflower, and you want to remove excess water, could you dehydrate it for a while? Hi Karen, I haven’t tried that. I don’t think it’s needed, but let me know how it goes if you try. This look amazing! I can’t wait to try these. Can you tell me approximately how much cauliflower is 1 1/2 lbs? If I’m eyeballing it? Thank you, Mie! It’s the florets from approximately one head of cauliflower, but can vary depending on its size. I used weight because for bread recipes the wrong amount can cause them to not turn out right. 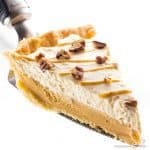 What is xanthan gum and where can I find it? Hi Madeline, Xanthan gum is a binder, thickener and stabilizer. You can get it here. I am so happy that you liked them, Claudia! Have a great day! Could I sub gelatin for the xanthan gum? Hi Karen, I haven’t tried it, but think you can! You’d need more gelatin compared to xanthan gum. These are delicious!! Thank you SO much for coming up with these. I love your other tortilla recipe, but I was so happy to not have to get out my rolling pin for these. I a so happy to hear that, Elizabeth! Thank you for stopping by! Hi Catherine, Yes, you can do that. The instructions are the same as in the cauliflower pizza crust here. Could these tortillas be cut into thin strips and used as noodles? Would they hold their form under a sauce? Hi Victoria, That’s such a great idea! They might. The xanthan gum definitely makes them pretty sturdy. Please let me know how it goes if you try! I love and cant wait to try your cauliflower quesadillas. I could use some feedback regarding the steaming of the processed cauliflower. We don’t microwave in our house and would like a suggestion as to the next best way to steam the rice. I have a rice cooker/steamer and I have a bamboo stacking steamer basket. Would either of these be effective in the steaming process? Hi Shauna, Any kind of steamer will work, as long as the holes aren’t too big that the cauliflower rice falls through. Otherwise if the holes are too big, you can line with cheesecloth to keep it from falling through. Otherwise the recipe would be the same. Hope you’ll love the quesadillas! Phenomenal! I have been trying to find a low carb vegetarian recipe my wife would crave and these tortillas delivered. I didn’t actually use your sauce though, went with a sauce I know and love in the ratio of a cup of low fat yogurt to three tablespoons of the juice of a can of chipotle peppers in adobo sauce. She went back for seconds, for sure! Hi Zac! I am so happy you and your wife liked the tortillas. Thanks for stopping by! These are amazing. I made them two days ago and loved them so much that I made another batch again today. 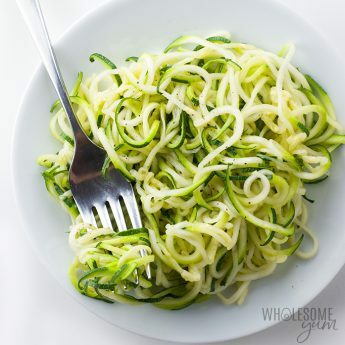 Pliable, tasty, brilliant for a low carb or gluten-free lifestyle. Now to try them on the kids to see if they will eat them too. Thank you, Emma! Hope the kids love them! Thank you, Jennifer! I’ll check out the roundup and be sure to share it! This looks good, I’ll have to try it! Is it two per serving or one for the nutrition facts? Thank you! One tortilla is a serving. I’m going to make this! Thank you for mentioning the ratio of 6 cups of riced cauliflower is 1 head of cauliflower. I use Trader Joe’s. There are so many recipes out there that require 1 head of cauliflower but not the measured amounts for riced cauliflower. These look so good! 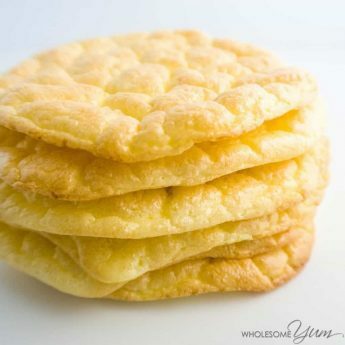 Do you know if there is anywhere to purchase pre-made cauliflower tortillas when you’re in a hurry? Thank you! I haven’t found any pre-made cauliflower tortillas anywhere, but Trader Joe’s does sell riced cauliflower in a bag, which saves a little time when making your own. The tortillas can also be made in advance. I think fully cooked tortillas should hold up after being frozen, but haven’t tried it yet. You had me at quesadilla. These look fantastic! These look so good! My family would love them! I love this idea but the jalapeno cream sauce looks particularly good! This looks totally delicious. Cauliflower and cheese is such a great combination. Thank you Maya. That does help. I had not thought of putting it in a colander and pressing with another bowl. That will definitely help. And you answered a question I had not thought to ask,the ready riced cauliflower would need about 6 cups to equal the head. Thank you, I wondered about that after I had posted my question. Hi Maya; I’m new to your blog, am elderly, and use a walker around the house. I buzz around pretty good with it. 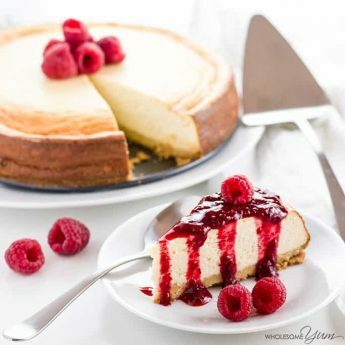 🙂 I love the sound and looks of this recipe and especially love recipes that do not require me to stand and cook for any length of time. I have a 12 oz. bag of organic Riced Cauliflower from Trader Joe’s. Would I steam it as you have it written in the recipe? And then proceed from there? I want to skip the step where I would run the head of cauliflower through the processor. And would it still be necessary to squeeze the heck out of it? Arthritic hands you know. 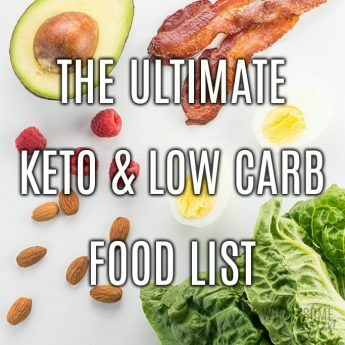 I appreciate that you give the nutritional value for your recipes, being a Weight Watchers I can then calculate the points and still eat healthy. Yay! Hi Suzanne, Yes, you can definitely use the riced cauliflower from Trader Joe’s and just steam that the same way. You’ll need about 6 cups of riced cauliflower to equal one head. Unfortunately, the squeezing step is still necessary. 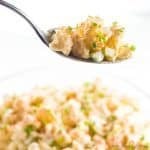 Sometimes it can be helpful to place the cheesecloth wrapped cauliflower rice onto a colander over the sink, place a bowl on top, then push down on the bowl, to get some of the water out that way. You’ll probably still need to squeeze manually at the end but it can help get most of it out initially in an easier way. The tortillas end up soggy if you don’t squeeze out enough moisture. Hope this helps! Just remember the indian recipe for making Paneer. Put the curdled Milk (in this case the cauliflower) into a cloth, knot the 4 corners together. Hang it up somewhere and just rotate it to remove as much water as possible. Let it hang for a few more minutes, then put it in the sink and put a large pot on top of it. Fill the pot with as much water as possible and let it stand for an hour. Voila! The very dry cauliflower or cheese is ready. Thanks for these tips Nicole, I’ll definitely try this! I hate wringing the cauliflower to dry it out. Could you bake it on low (105 degrees?) like drying fruit? Hi Lauren, I haven’t tried that, but it might work. You can also stir fry it to evaporate the moisture, like I do when making cauliflower pizza crust.